France and Germany have sent joint proposals to the EU on reinforcing the bloc's budget discipline rules, French Economy Minister Christine Lagarde said. The countries want faster procedures against EU states with excessive budget deficits and want to impose financial sanctions on them. 'We have just signed a joint letter destined to Mr (Hermann) Van Rompuy which includes a joint Franco-Germany proposal for improving economic governance and strengthening the stability pact,' she told a joint news conference with German Finance Minister Wolfgang Schaeuble. The countries also want to suspend voting rights of EU member states which run up excessive deficits and to impose financial sanctions on them. ‘Political sanctions such as the suspension of voting rights should be imposed on member states which infringe common engagements in a serious or repeated manner,’ the two countries said in joint proposals. ‘This mechanism should be included in any revision of the (European Union) treaty that is susceptible to be accepted in the future,’ said the text published after the meeting. Schaeuble, the first foreign government member to attend a French cabinet meeting, said he was convinced that strengthening fiscal discipline and conducting EU-wide stress tests on banks would restore confidence in the euro. 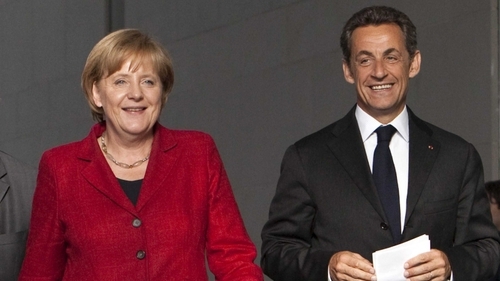 Earlier, French President Nicolas Sarkozy called for France and Germany to work towards a convergence of their fiscal systems. In a statement issued after Schaeuble attended the French cabinet meeting, Mr Sarkozy proposed a joint inventory of the two countries' tax and budget systems to be conducted by the French Court of Auditors and its German counterpart. The aim was that ‘our two governments are in a position to take decisions to move towards a necessary fiscal convergence both on business taxation and on personal taxation’, he said. The statement did not spell out whether the two countries would harmonise their tax rates, which are widely different. 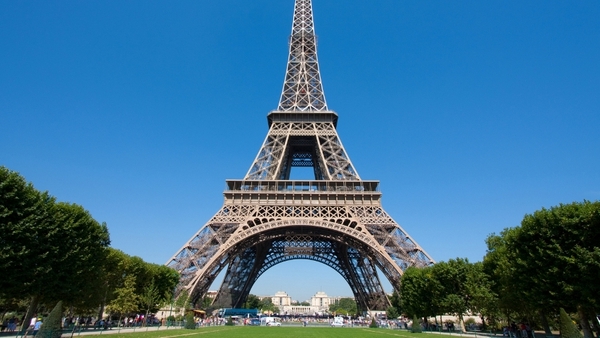 France collects less in income tax and far more in indirect taxation than Germany. It also has a wealth tax, abolished in Germany after a constitutional court ruling in 1995. The overall tax burden in France amounted to 42.8% of gross domestic product in 2008, compared to 39.5% in Germany. However, French public spending is much higher at 55.6% of GDP in 2009 compared to 47.6% in Germany. ‘The convergence of our fiscal systems is an essential element of our economic integration and the deepening of the European internal market,’ Mr Sarkozy said. ‘The tests are being conducted in an environment where rescue packages are in place for Greece and the euro ... They cannot be conducted as if the rescue packages were not there,’ Merkel told reporters. The London-based Committee of European Banking Supervisors (CEBS) is due to release the results of tests on 91 European Union lenders accounting for 65% of the bloc's banking system on Friday. The tests are designed to determine how well banks would cope with further shocks such as economic growth slowing sharply or a European country defaulting on its debt. Similar tests in the United States helped soothe investor concerns about the state of the US banking system, but investors are worried that the European tests may not be tough enough.